Cuddle up on the sofa with a blanket. 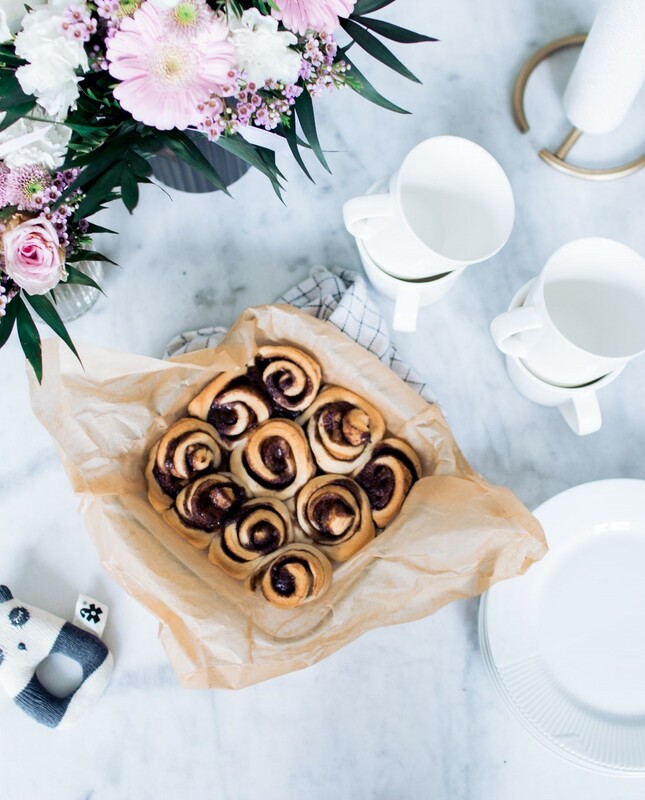 Wether its a Sunday morning or dark evening, these cinnamon swirls will bring you the needed comfort. Open the can and roll out the dough into a rectangle. Mix the soft butter with cinnamon, white sugar and brown sugar and spread it on the dough with butter knife. Remember to get it into the corners. Roll the dough back up into a roll and cut the swirls. Place the cinnamon swirls onto some baking paper. They should be baked at approx. 180g for 18-20 minutes, but keep an eye on them – all ovens behave slightly differently.